The apricot mustard glaze is filled with sweetness and just a hint of spice which works great with the ham. This recipe is perfect for special occasions and will definitely satisfy your hungry guests. Preheat grill for medium heat. Place preserves, water, ginger, and mustard in a small saucepan. Cook until ingredients are well blended, about 3-5 minutes. Be sure to stir constantly so mixture doesn't burn. Place ham on grill and allow to cook for 8-10 minutes. 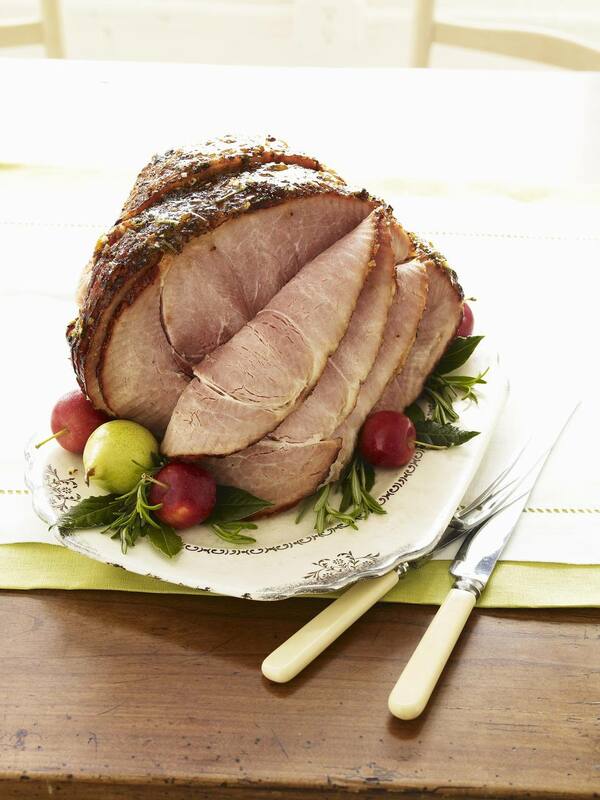 Slather ham with apricot glaze and turn over. Grill for and additional 8 minutes, coating ham with glaze 3-4 more times. While grilling ham, arrange apricot halves in a grill basket. Grill apricots for about 6 minutes, turning once. Coat apricots with glaze. Remove from heat and set aside. Once ham is cooked, remove, let rest for 3-5 minutes. Slice and serve with glazed apricots.